I love, love, love agave with their twisting forms…they’re living sculptures. This 30”x40’ acrylic on gallery wrapped canvas is rendered in bold, warm colors against a cool peaceful background. It is finished with composition gold leaf. I am originally from Texas where cedar trees are rather prolific. This tree surrounded by cactus against a lakeview backdrop, is located in Georgetown Texas and was my daily view while camping. 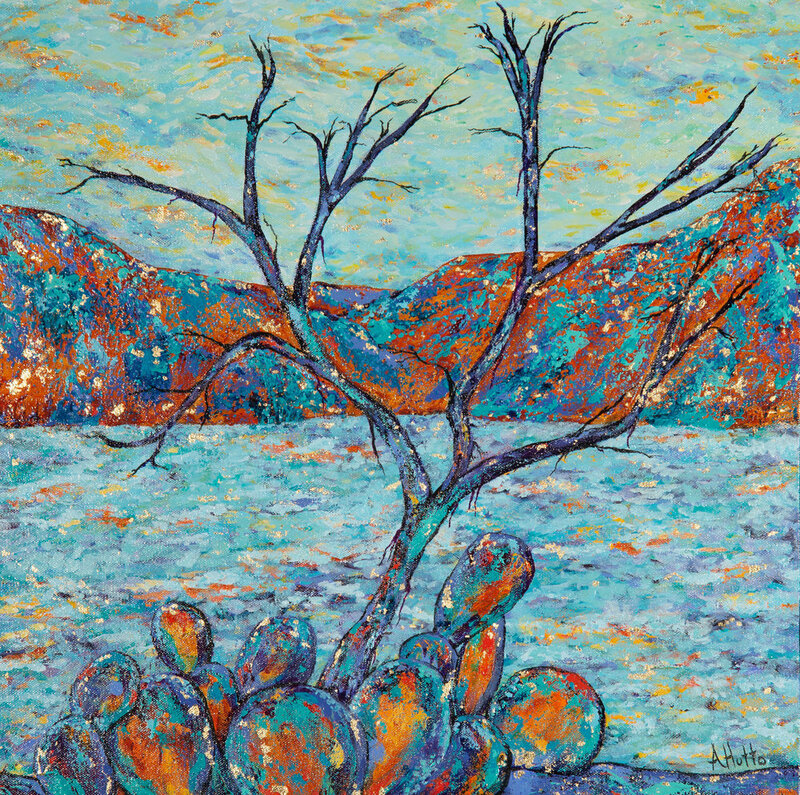 I was inspired by Canadian artist Tom Thomson and his piece, The Jack Pine. My choice in colors is reflective of the colors of a Texas sunset. It is 20” x 20”, on gallery wrapped canvas, inn acrylic and composition gold leaf. I love agave! I love their twisting curving forms and variety of colors. 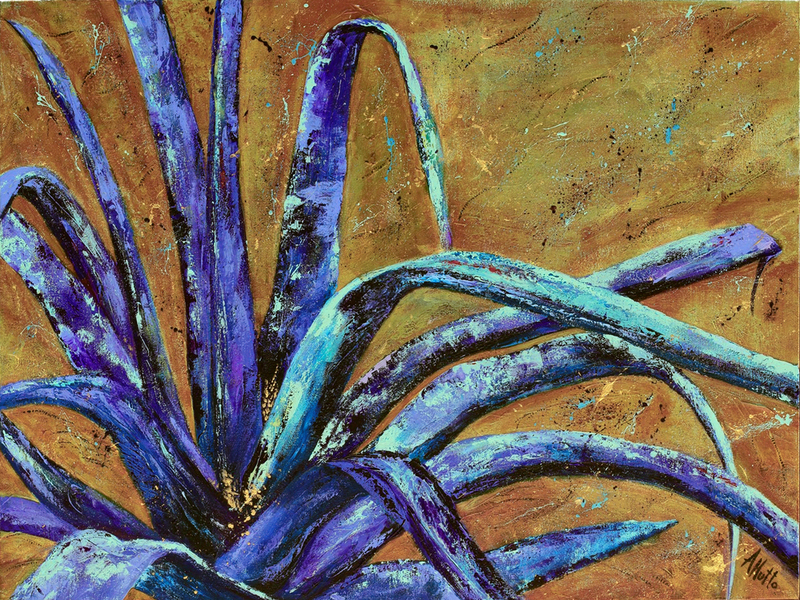 This agave is 30"x40" on gallery wrapped canvas and available for purchase through my website. It is listed at $1050. PLEASE CONTACT ME FOR OTHER AGAVE.